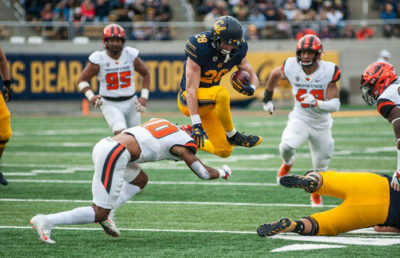 Last fall, then-redshirt junior Patrick Laird was coming off the bench as Cal’s third-string running back in the Bears’ season-opening game against North Carolina. While his name was known to some Cal football fans, he was by no means a star — yet. His 54-yard touchdown run, which was paramount in helping Cal produce an upset win over the Tar Heels, changed all of that. Needless to say, as Cal enters this season with another opening game against UNC, more than just Laird’s spot on the depth chart has been transformed. After years of vacillating from good to bad, it’s looking as though this year might buck Cal’s trend of mostly losing records. In his second season at the helm, Cal head coach Justin Wilcox has crafted himself a team with talent on both sides of the ball. 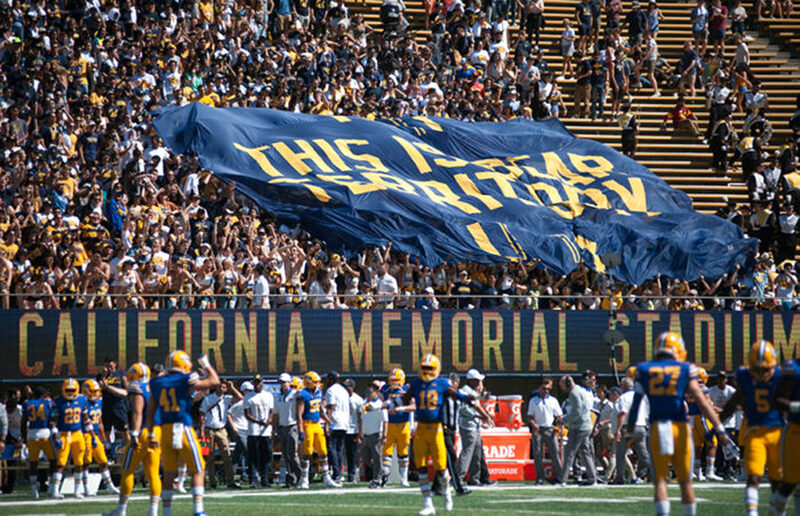 Wilcox’s inaugural season leading the Bears finished with a 5-7 record, but with the Pac-12 lacking some of the powerhouse teams that it had last year, Cal is in a strong position to turn its fortunes around. 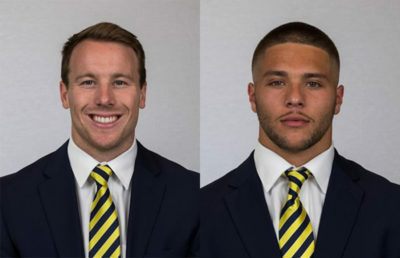 Offensively, the Bears are returning three of their most productive weapons from last year — Laird, redshirt junior wide receiver Kanawai Noa and redshirt senior wide receiver Vic Wharton III, who together accumulated 17 of the team’s 36 total offensive touchdowns. And with redshirt junior quarterback Ross Bowers back after winning the starting role against transfer Brandon McIlwain, it’s looking like the offense might be able to form a solid foundation. The defense, too, which floundered in the Sonny Dykes era, has been reinvigorated under Wilcox and defensive coordinator Tim DeRuyter. Last season, DeRuyter transformed Cal into a respectable defensive unit, raising the team from 10th in the Pac-12 in 2016 to 7th in 2017 — and he’s working with many of the same players, who have become accustomed to the 3-4 scheme. With a more experienced, cohesive and arguably more talented roster, Cal will face a respectable UNC team in its season opener. The Bears definitely have a chance to notch another big win in their belt, but there’s no guarantee against a Tar Heel team that has a quick defense and strong running game. In many ways, this first game will serve as a barometer for how far the team has truly come from last season. From there, the Bears will face Brigham Young on the road and Idaho State at home before entering into a bye week prior to the start of conference play. Those two games should be easy wins for Cal and will help the Bears generate a winning streak before they enter conference play. Then, Sept. 29, the real fun starts. The schedule trades off between home and away games until the last four, where Cal will play two away followed by two home to close out its regular season. Cal hasn’t been handed any favors with this year’s schedule. The Bears face No. 24 Oregon and sleeper Arizona back to back in their first two weeks of Pac-12 play — two teams Cal lost to last season. The Ducks will serve as the Bears’ first real test, as they hope to prove that they can hold up against a top-25 team. If they can? That will bode well for the rest of the season (and potentially postseason). If they can’t? No sweat off of their backs — Oregon is a formidable foe, and even hanging with them could show that Cal has the chops to churn out a winning record. After those first two, the Bears will see UCLA at home, Oregon State on the road and then head back to Berkeley to face No. 6 Washington. While the UCLA and Oregon State games are leaning slightly in Cal’s favor, a win against the Huskies would be a true upset. Short of playing the best football the Bears have seen in nearly a decade, Cal will likely be on the losing end against this top-10 team. The Bears will then hit the road to challenge Washington State and No. 15 USC, followed by two home games against No. 13 Stanford and Colorado. Stanford and USC are two of the top teams in the Pac-12, so facing up against them at the end of the season will show how far Cal has really come before it enters postseason play. To emerge on the right side of the fray and in possible contention for a bowl appearance (meaning eking out at least a 6-6 record), the Bears will have to earn wins against teams like Arizona, UCLA and Oregon, and possibly generate upsets over USC or Stanford. Those wins are more possible than they’ve been in years past (though by no means guaranteed) — especially with Cal’s newfound depth. Sophie Goethals covers football. Contact her at [email protected]. A previous version of this article incorrectly stated that the Bears needed at least a 7-5 record to be in bowl contention. 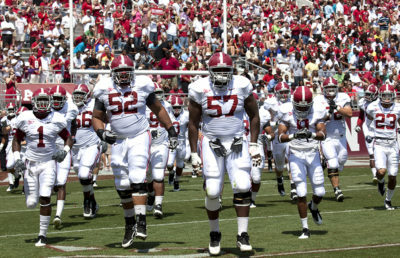 In fact, a 6-6 record is enough to make a team bowl eligible.